The family tweeted its thanks while Harry and his bride were attending a private soiree hosted by Harry's father, Prince Charles. LONDON — The royal family has thanked people who attended or watched the wedding of Prince Harry and Meghan Markle. 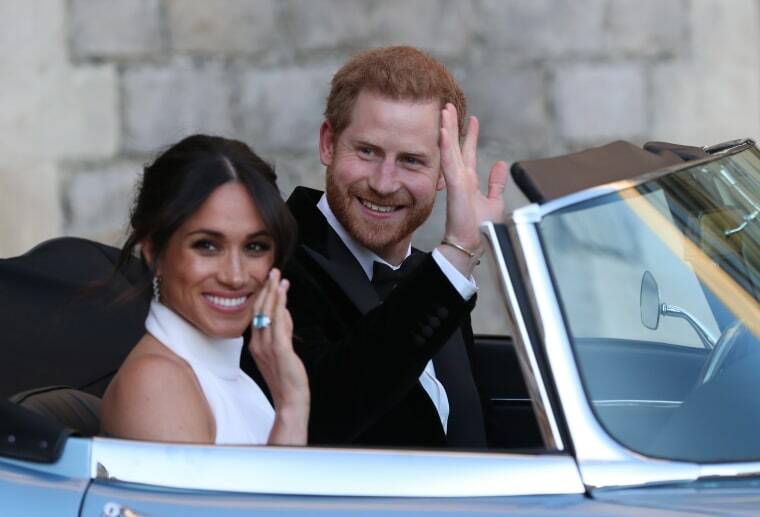 The happy couple arrived in style — with Harry at the wheel of a rare, 1968 Jaguar sports car converted to electric power. He wore a tightly fitting tuxedo, while Markle wore a white Stella McCartney number.